Back when I was exchanging my first few e-mails with Charles Triplett, whose fantastic Judy Garland collection was recently featured in this space, he'd mentioned how folks were generally surprised to find a collection like this owned by a regular guy born and bred in North Carolina--I joked back that because of where he lived I would have expected him to be an Ava Gardner collector, as Ava was born in that state as well. What I discovered was that while Charles didn't collect Ava Gardner items himself he was, largely because of her nearby roots, a fan. 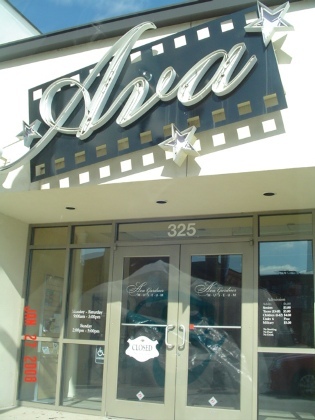 Charles told me that he had in fact visited the Ava Gardner Museum in Smithfield, NC, not too far from where he lives, and that he'd email me some photos. I gave a sneak peek of one of those pics last week, of the exterior of the museum (also shown immediately above), and mentioned that this post was coming soon. I tell you, it really pays to talk about what you're up too because that mention led to a comment from Jessica Meadows Hammett, the Executive Director of the Ava Gardner Museum. I took this opportunity to confirm with Jessica that it'd be okay to post Charles' photos and she gave me the go-ahead. 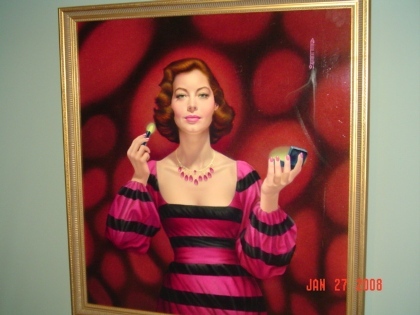 Discover the real Ava Gardner as you take the self-guided tour through more than 5,000 square-feet of exhibit space. 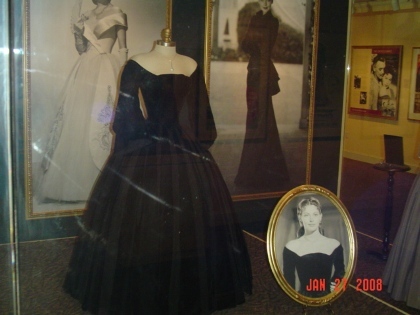 You’ll see extraordinary costumes, movie posters and awards that represent Ava’s 50-year career as a leading Hollywood actress. 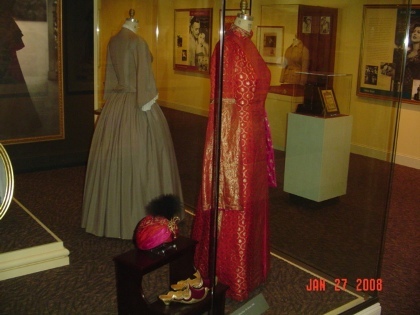 The Museum also houses a collection of personal items of china, jewelry, clothing and fine art, including 40 portraits by Bert Pfeiffer, an artist whose collection was donated to the museum in 2001. 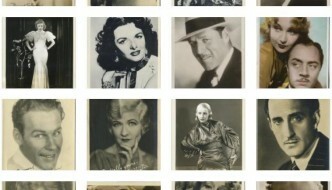 Charles shares several of those portraits with us on this page as well as many costumes worn by Ava. 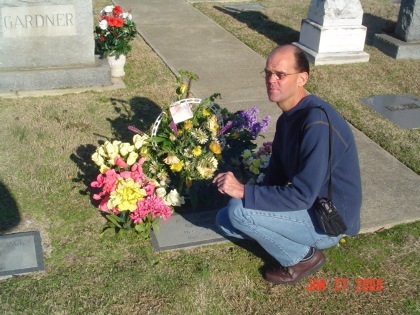 Charles also included photographs of his visit to Ava's grave at nearby Sunset Memorial Park, about a mile from the museum. This year into next the museum is running a Special Exhibit, Hemingway and Ava, beginning October 9, 2009 and running through May 31, 2010. 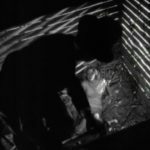 The site notes that Gardner appeared in three films based on Hemingway's work: "The Killers" (1946), "The Sun Also Rises" (1957), and "The Snows of Kilimanjaro" (1952) and that Hemingway considered her "the most exciting woman of her generation." If you're going to plan a trip around this exhibit then it appears there's no better day to be in Smithfield than on October 10 of this year for the Ava Gardner Festival which "celebrates the life of Ava Gardner through heritage tours, showings of Ava Gardner films, and special exhibits," and you'll note by the start date also includes the Hemingway and Ava exhibit. 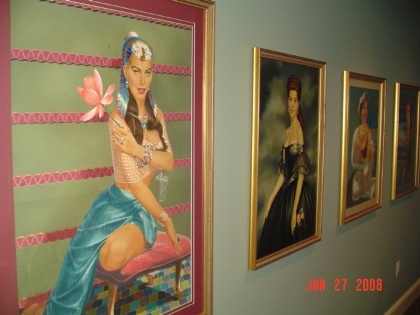 For more information about the Ava Gardner Museum take a look at their beautiful site. You don't want to miss the section on the history of the museum--hint: it began with a collector and fifty years of collecting! 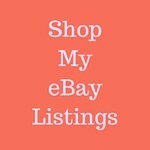 The entire site is loaded with information (and more photos) and may just sell you on a trip! I'd also asked Charles for a few words about Ava Gardner, which we'll get to in a moment, but first my own Ava memory, as I think it illustrates a fascinating point about classic film, and on a grander scale, history. I first noticed Ava Gardner as much of America did, as Kitty Collins in "The Killers" (1946), and being early into my adolescent years I was quite obviously bowled over by her beauty more than anything else at the time. For me this was in the mid-eighties, but having had no previous knowledge of the movie, and really only knowing Gardner by name, I feel I was able to experience her breakthrough role in my own little vacuum of time. To some degree I experienced Ava Gardner, 1946. I was captivated by the 23-year-old raven haired femme fatale and she likely had a role in my continuing to pursue classic film and certainly was responsible for sparking an early interest in film noir. 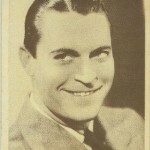 But as for Charles, I was curious if he had any interest in Ava Gardner beyond her place of birth. Did she tie in with his own Judy Garland collection at all? Ava and Judy knew each other and both worked at MGM for many years. 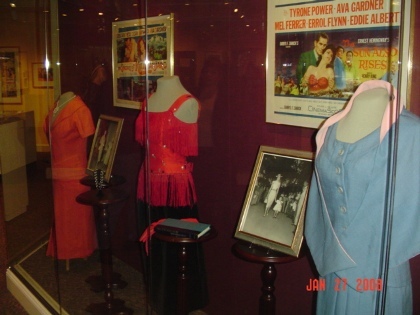 Several shots of them together are displayed in the museum. 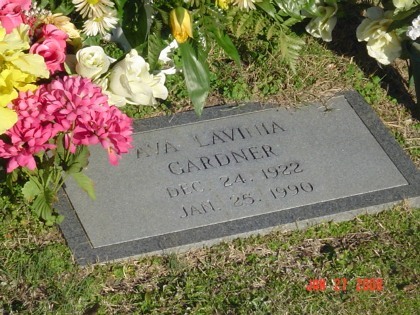 Many years ago I visited the original Ava Gardner Museum which was then in an old white house that I think you had to make an appointment to visit. I didn't collect Ava but was a fan and always proud of the fact that she and I both were both from rural North Carolina. Ava visited her family every summer and if I recall correctly at one point she was actually going to visit the museum, but after they drove up front, she decided not to go in. I believe she said something to the effect of, "I don't need to see all that, I lived it". I must say after all those years I was so thrilled and happy to visit the newer location of the museum in uptown Smithfield. It's a wonderful and classy tribute to Ava. All state of the art and it even has its own little theater where you can watch films. I was very impressed with the displays and was even taken to the back and shown how they stored and preserved their items. Very impressive and much the same as I do with my Garland collection. I always admired the fact that Ava was always a North Carolina girl at heart. I don't think she ever forgot where she came from and never lost the love of her hometown in the Piedmont of North Carolina. What I especially like about this shot is that beyond the gowns you can see there are some interesting items mounted on the nearby wall. 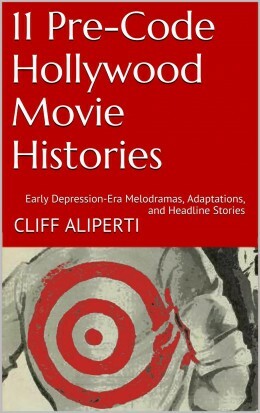 Thank you again, Charles, for another peek into Hollywood's past from your North Carolina perspective. Thanks also to Jessica Meadows Hammett of the Ava Gardner Museum for taking the time to discuss this post while in its planning stage. 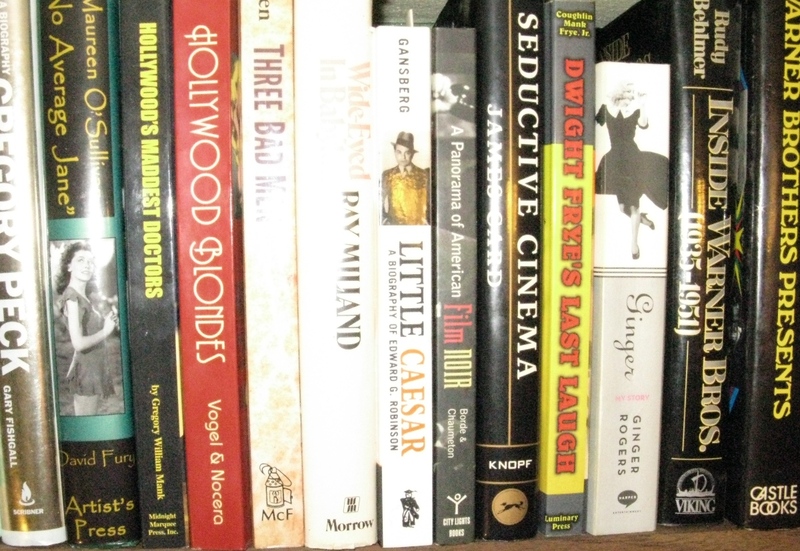 It seems the VintageMeld has made a very good friend in Charles Triplett--look for more from Charles sometime soon ... next time he shares something special from Janet Gaynor. 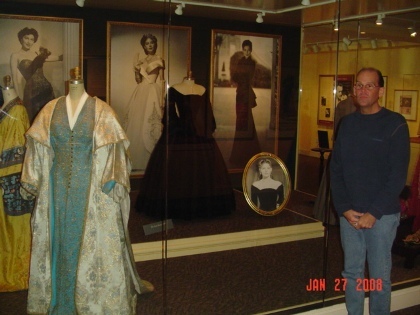 Charles Triplett stands in front of one of the displays at the Ava Gardner Museum. 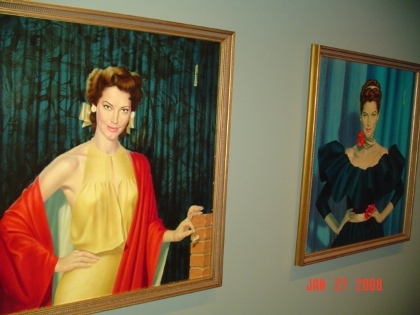 You can visit the Ava Gardner Museum in Smithfield, NC and online at avagardner.org. 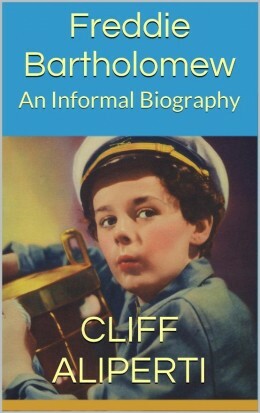 Excellent post Cliff, well done! And thanks to Charles Triplett as well.. I hope to hear more from him.. via your site.. in the near future. There are very few celebrity museums in the US and we are proud to have such an extensive collection, all housed in a professional and attractive way! I look forward to seeing future items by Charles Tripplett! Very interesting, even though I do not collect this type of thing, I enjoyed reading about it. To both Cliff and Charles, Keep up the good work, we all enjoy it. breathtakingly vast. She is still magic on the screen.For a terrific read about her, get Gilles Dagneau’s bio entitled “Ava: The Rebel”.It is written awesomely and the photos are a collector’s dream.What other celebrity had three statues sculpted of her,had a post office dedicated to her and has her own museum.By the way, when she was shown the outside of her museum, the door was locked.Although it was suggested they could get the key and let themselves in, that is when she made that comment.This was documented in one of her bios. Thank goodness, we have her dvds,records and books. See the festival – enjoy the Golden Age again.There’ll never be another Ava Gardner. Wouldn’t it be wonderful to have a US Postage stamp of Ava? HI. Thanks for posting i dident know there was a musium to ava .as you know she lived in ennismore gardens and so did i .I lived at no 75 so i used to see her almost every day she had a balcony flat which overlooked charles gray another actor see james bond movie and they used to shout to each other across the sq .she lived with the corgies and used to walk them in the sq . if you are in knightsbridge and want to visit her home its near harrods a 5 min walk .i used to laugh some times as she would walk to the shops bear feet caring her shoes ,and just a little merry. best wishes Brian . while just browsing, trying to catch up on the Ava Gardner Festival 2010, I was surprised to see one of my comments here. Missed the past festivals but hopefully I’ll visit Smithfield again to see the Museum. I envy you Brian – you were a neighbor of hers. I saw her from a distance (she was waving from the Lincoln Center balcony) at the premiere of “Night of the Iguana”. The crowd (including moi)was screaming her name. When Elizabeth Taylor walked past us, there was none of the screaming and with the several bodyguards surrounding her, I was pushed into her circle. Even with my apologies, saying I was pushed, no harm done, she just glared at me. I enjoyed Ava’s waving a lot more. There’ll never be another Ava – here’s to November TCM – it’s Ava Gardner Star of the Month. Can hardly wait.